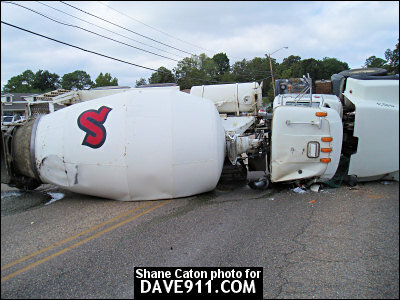 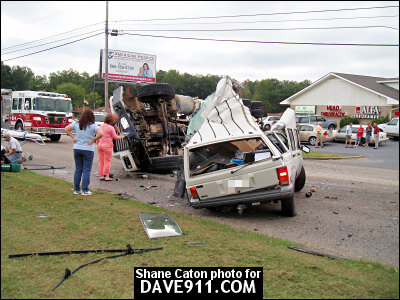 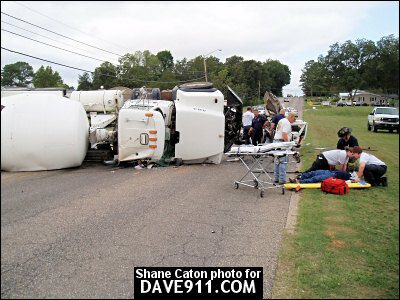 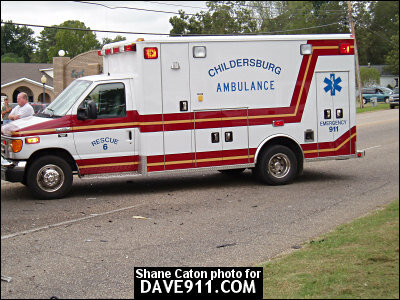 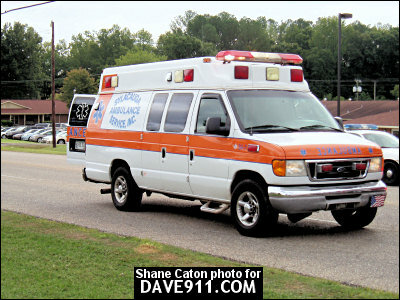 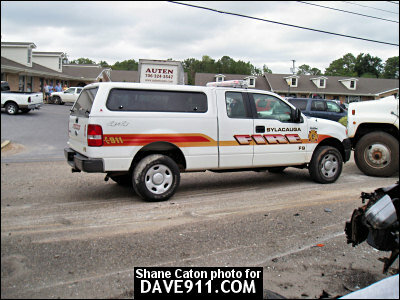 Shane Caton sent the following pictures from an MVA that occurred September 21 on Ft. Williams Street in Sylacauga. 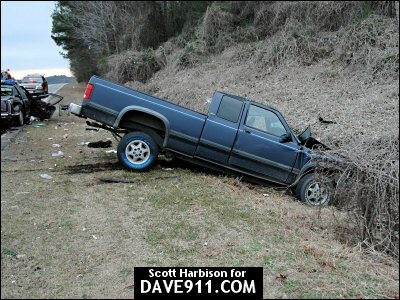 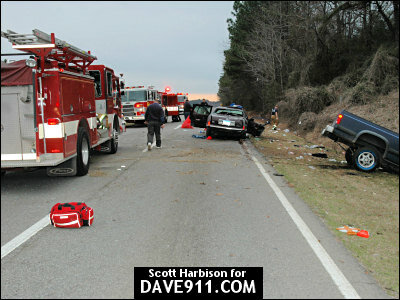 One patient was DOS and one patient was airlifted to UAB by LifeSaver. 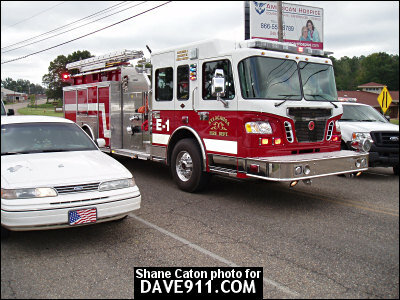 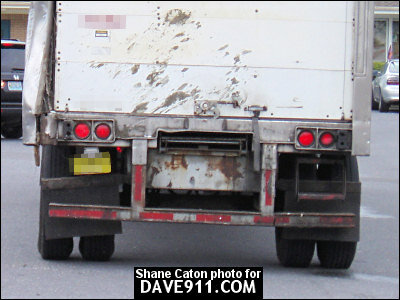 Thanks for sharing these great pictures, Shane! 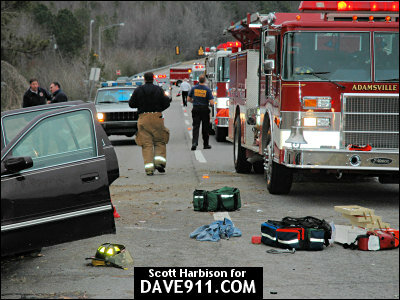 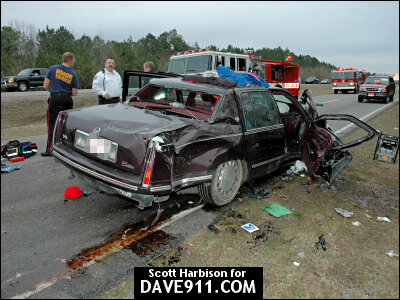 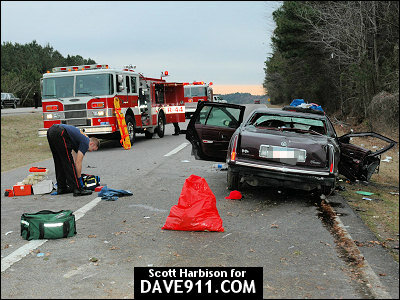 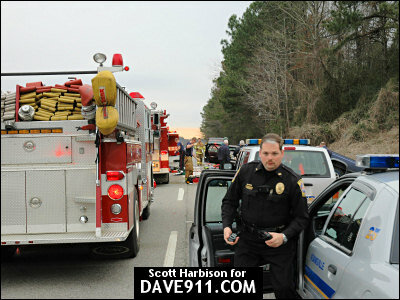 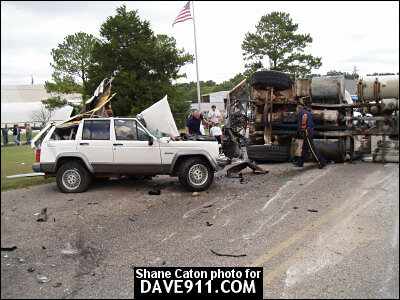 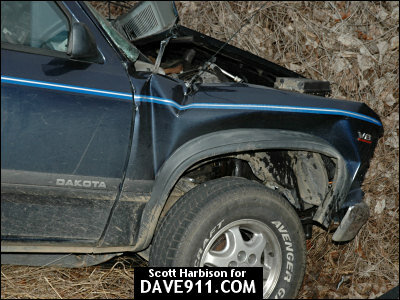 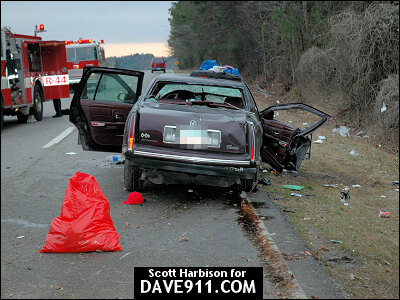 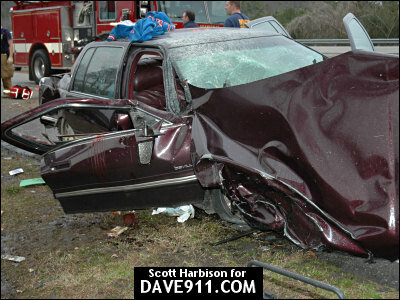 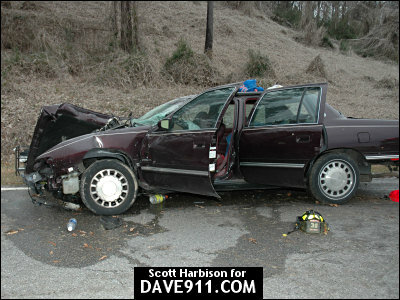 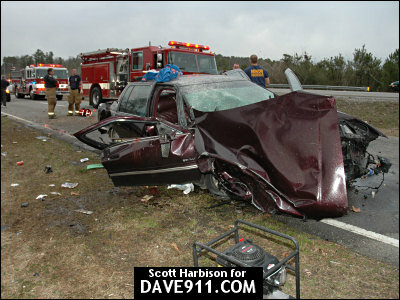 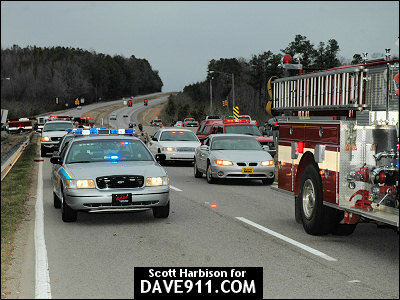 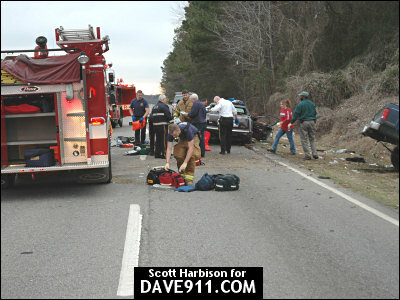 The following pictures are from an MVA that Adamsville, Forestdale and Minor Fire Departments responded to on Minor Parkway in February, 2006. 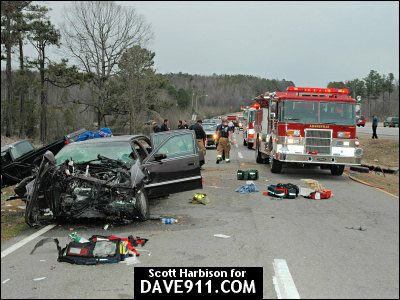 One patient was flown out by LifeSaver, three were transported by NorthStar Ambulance and one patient was DOS. 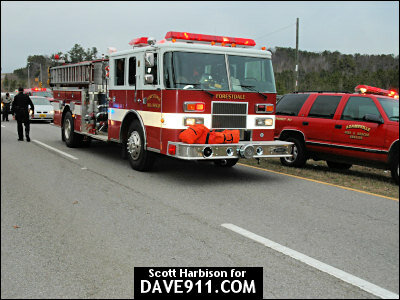 A special thank you to Scott Harbison for sharing these pictures! 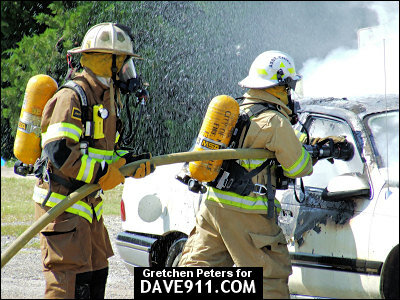 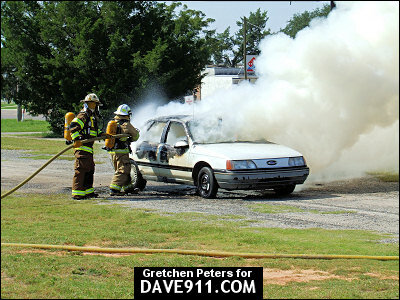 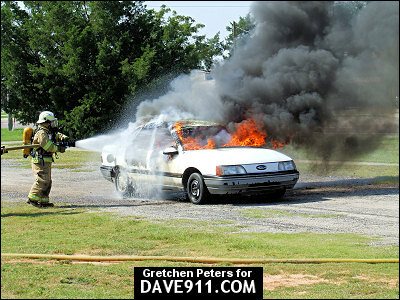 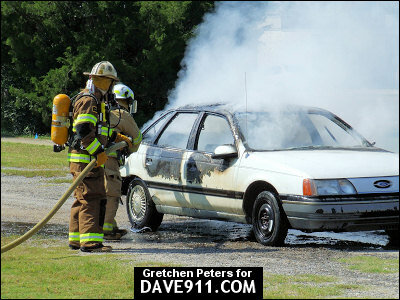 Gretchen Peters sent the following pictures from the 2007 NW Florida Firefighters Weekend in Valparaiso, Florida. 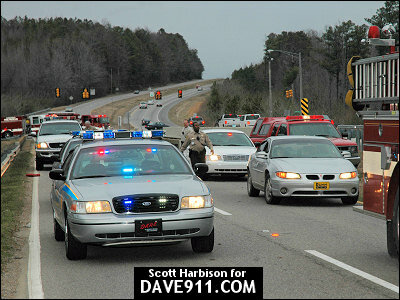 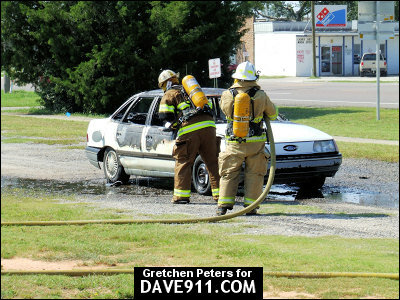 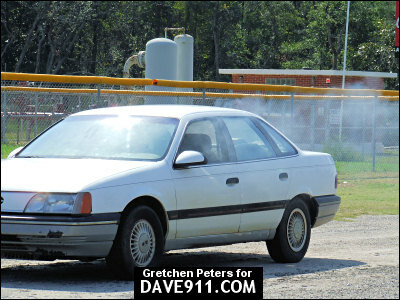 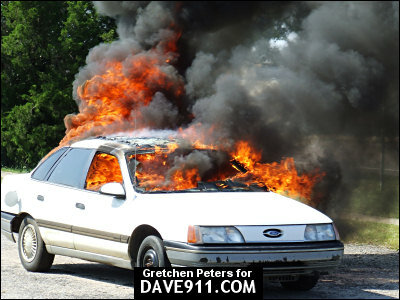 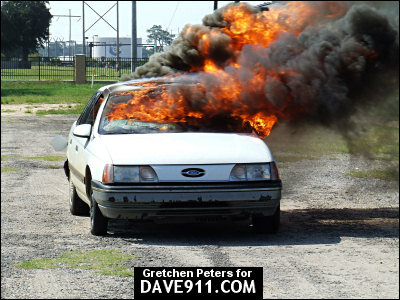 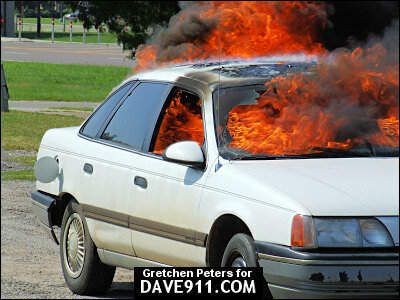 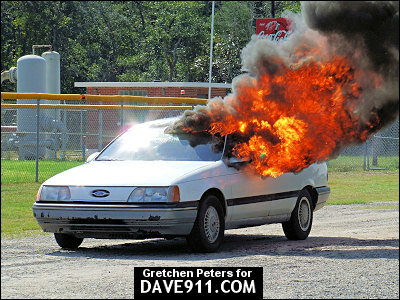 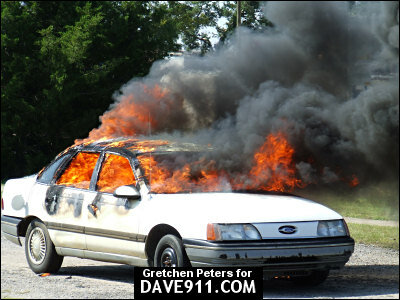 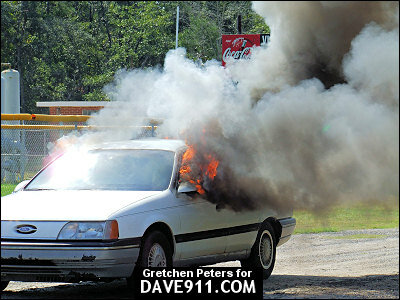 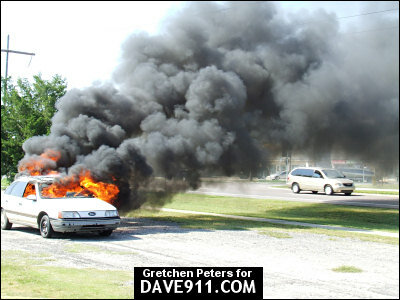 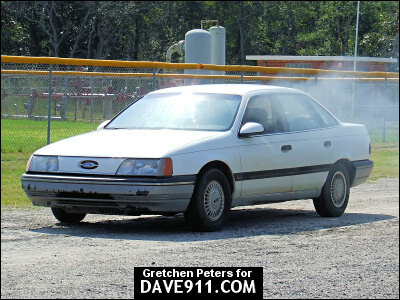 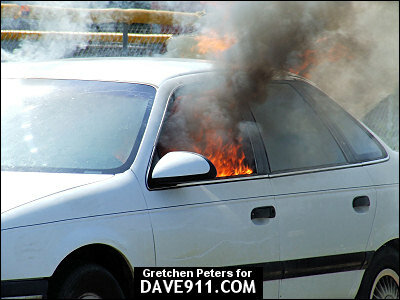 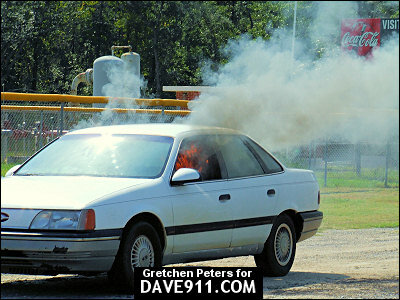 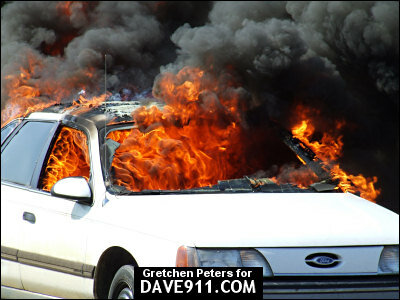 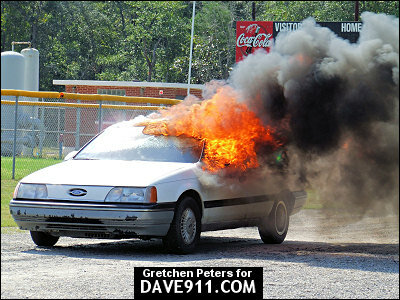 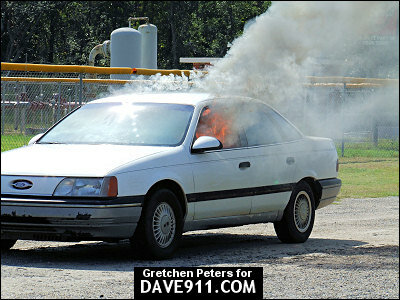 The automobile fire was started with a bag of chips. 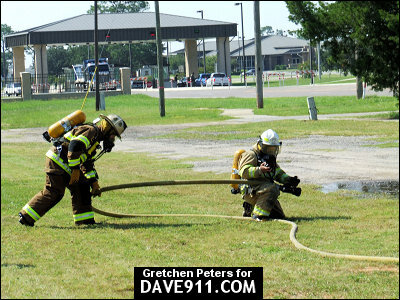 Thank you for sharing the pictures, Gretchen!